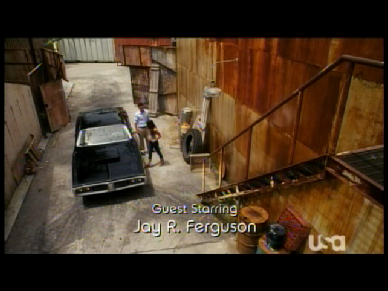 Filming for this episode took place from 05/20/2011 thru Saturday 05/28/2011. 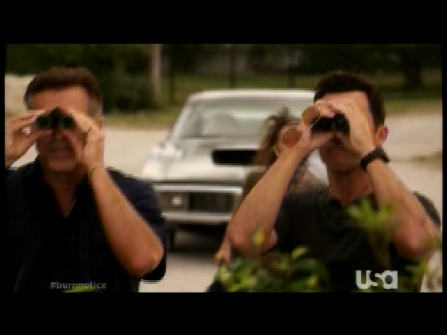 The episode starts with Sam and Fiona watching a house. They have been there watching Jacob for two days and Fiona is getting bored. Then things change. 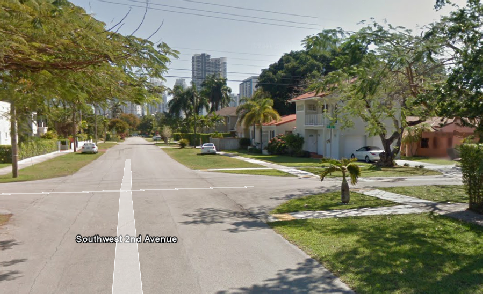 This was filmed at 2201 SW 2nd Ave. in Miami. Sam doubles as Jacob and crashes thru the garage door and escapes as Jacob sneaks out the back. Three Shottas fire at Sam as he drives down the road and lucky for me the street sign becomes visible in the background. 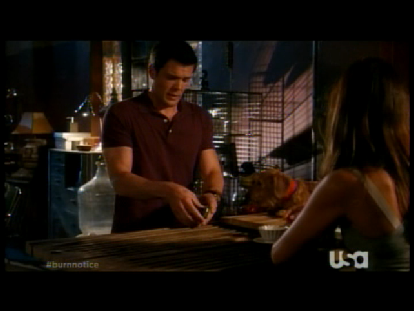 Jacob meets Fiona and that ends the teaser. Act 1 opens with Fiona meeting Michael as he arrives home outside the loft. 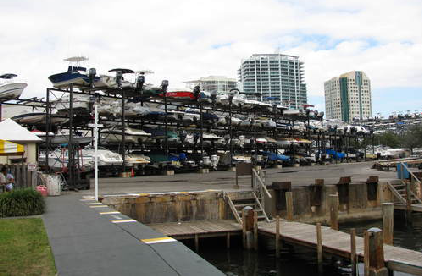 This of course was filmed on set at the rear of the Coconut Grove Convention Center Studio. 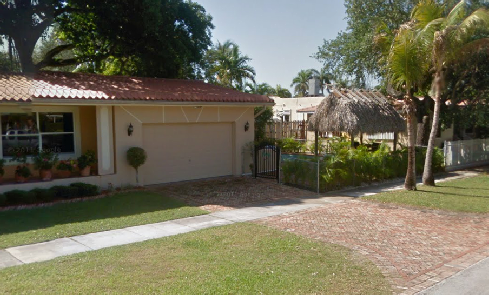 Then we go inside. Filmed on a studio set. 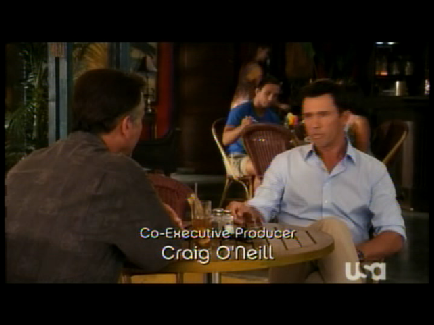 Next we see Michael meet with Sam at Carlito’s. Set at the rear of the studio. Here we meet the client Denise. 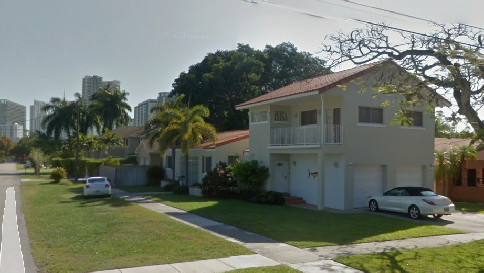 In front of 7430 Ocean Terrace. 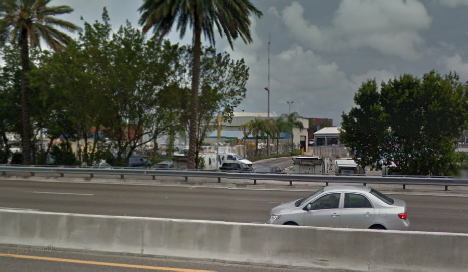 MacArthur Causeway by Terminal Island, westbound. 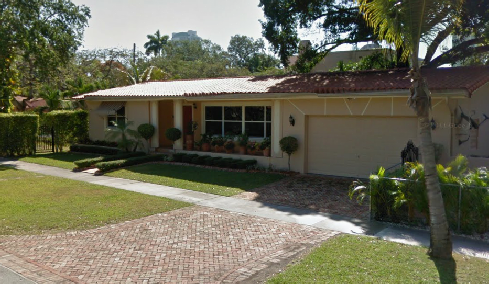 Then they arrive at John’s house. 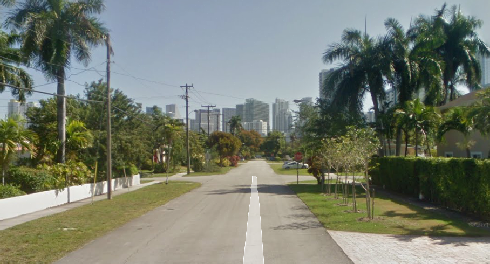 This was filmed at 500 NE 74th Street in Miami. 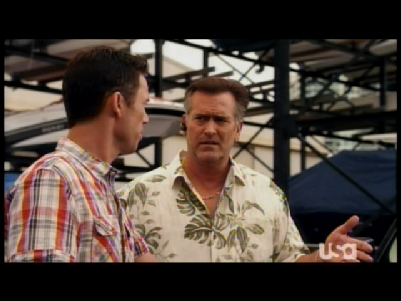 Things don’t go so well and John takes his son and drives off. 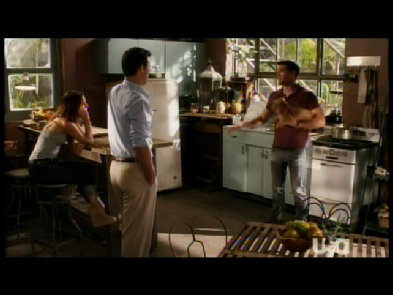 Then we cut to Madeline’s house (studio set) where Michael talks with the client, Denise. 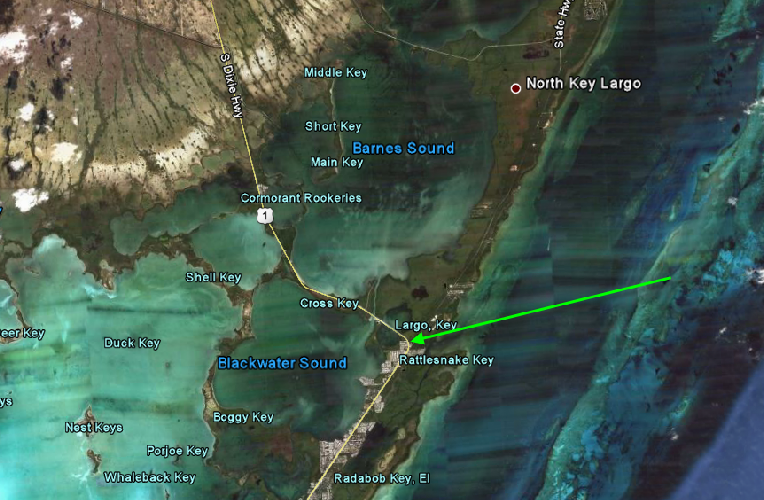 Then we see Michael headed southbound over the Card Sound Road Bridge to Key Largo. 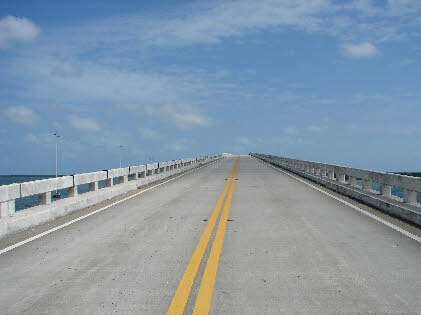 This bridge was made famous in the episode of Miami Vice titled, Bushido. 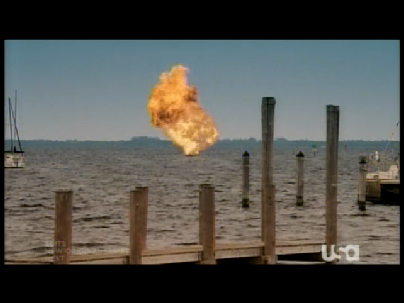 We have seen it more recently in the season 1 Burn Notice episode, False Flag and this very footage is re-used film from that episode. 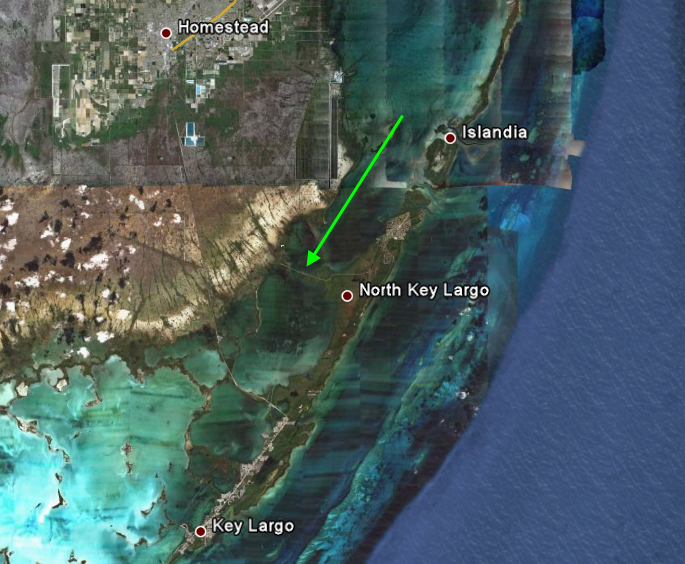 Then we see an aerial shot of the everglades. Location unknown. 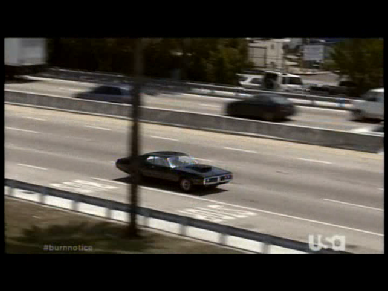 This appears to be re-used footage from season 3, The Hunter. 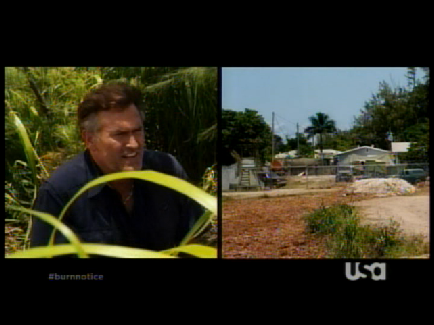 Then we arrive at the compound where John has brought his son. 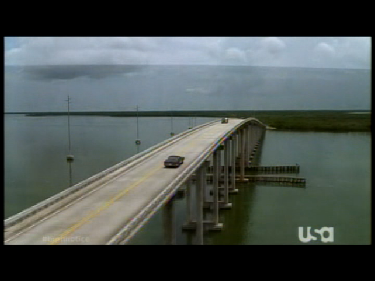 This was filmed at the Oleta River State Park in North Miami. 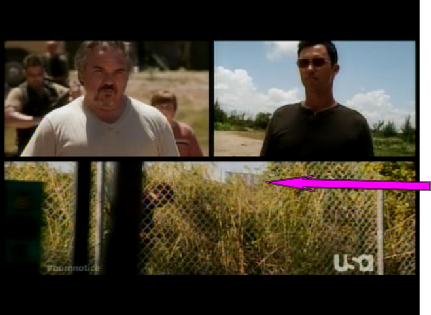 From there we cut back down to Jacob’s house where Jesse and Fiona retrieve Jacob’s phone. 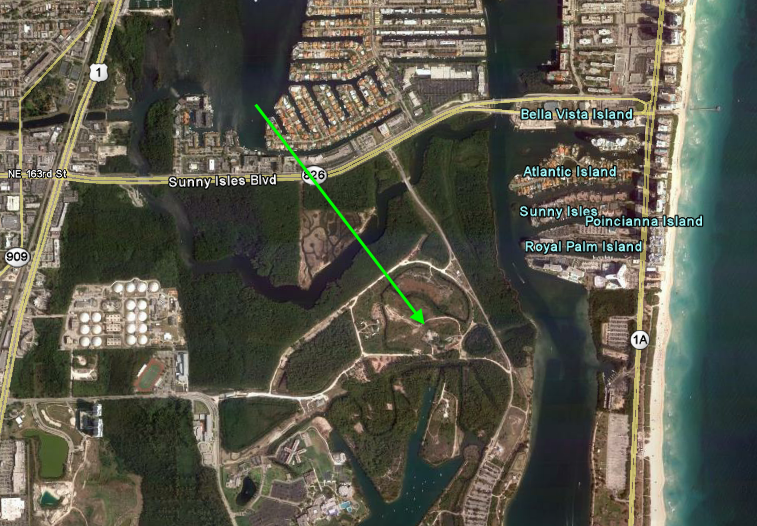 Then we fly over the Everglades again before landing with Sam and Michael outside the compound at Oleta River State Park. 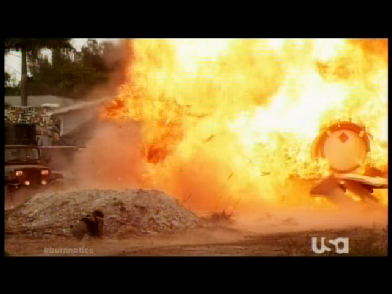 Michael distracts the militiamen while Sam Sabotages their power supply. I kept waiting for the militia leader to yell out franks and beans (his famous line from There’s Something About Mary). 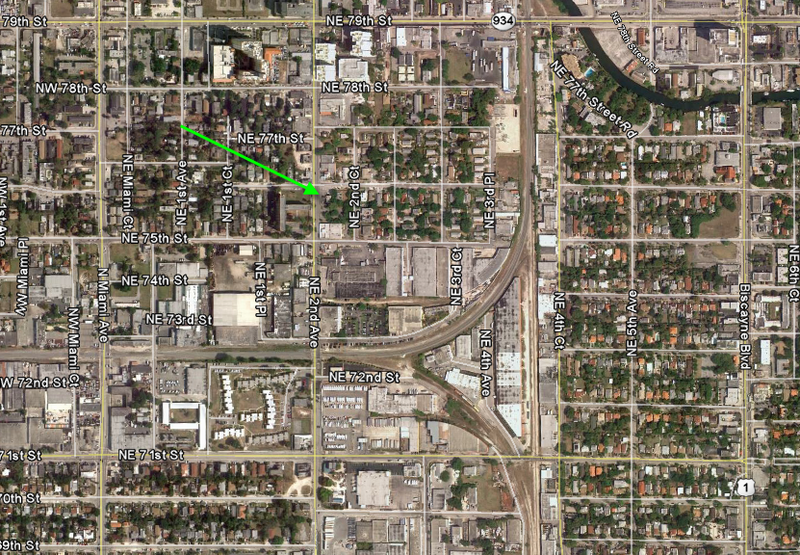 They did a pretty good job of hiding the urban location but at times hi-rise buildings could be seen in the background. 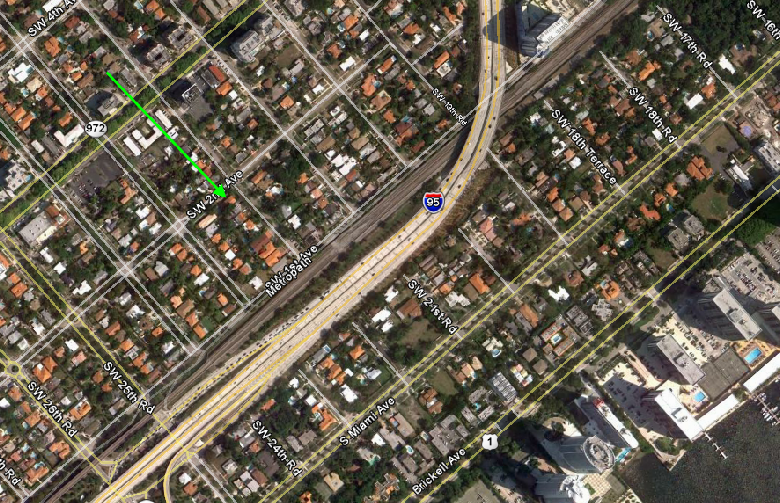 In the screen capture below we see 500 Bayview Drive in the background. Then we return to Madeline’s (set) where they try to keep the client calm. 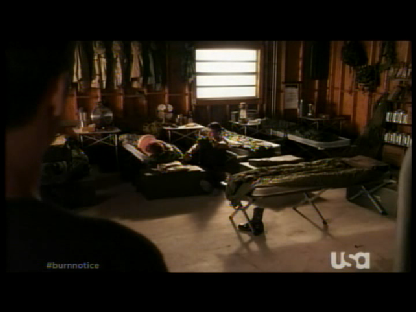 Then we cut to the loft (set) where Fiona keeps Jacob under control. 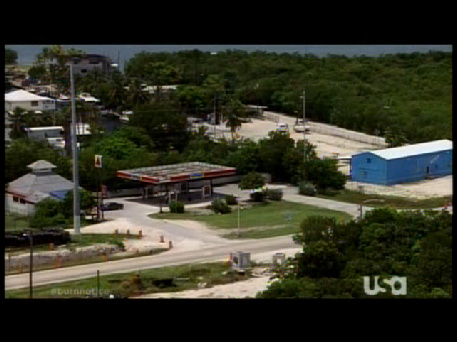 Then we see another shot of the Glades before seeing an aerial shot of the Citgo station on Key Largo. 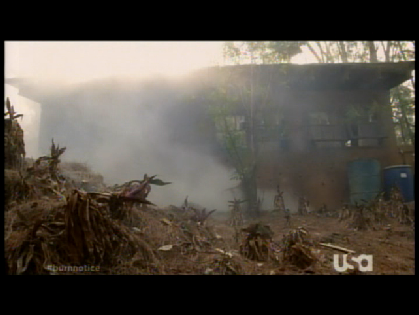 The same one we saw in episode 10, False Flag and no doubt this footage was taken at that time. 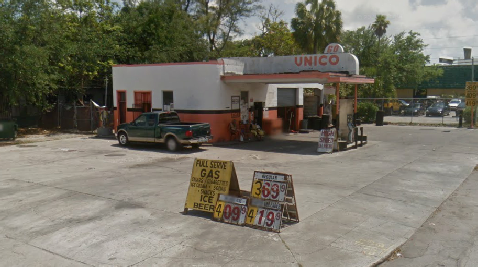 Then we cut to a Unico gas station where the compound has ordered a shipment of fuel. 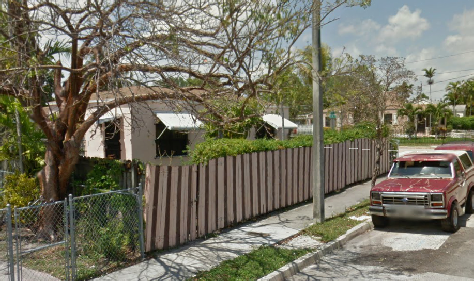 This was filmed in Little Haiti on NE 2nd Avenue at NE 76th Street. 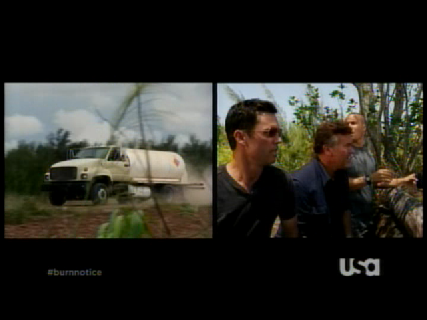 Fiona meets up with Sam and Michael at what is made to look like a location just north-west of the Unico gas station. 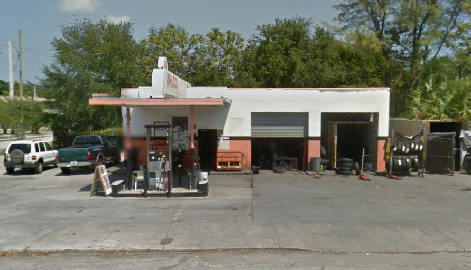 In reality they are nowhere near the gas station. 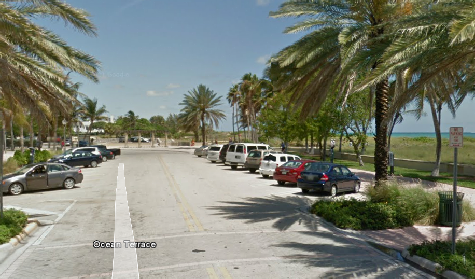 I have not confirmed this yet but it appears they were filmed at Oleta River State Park. 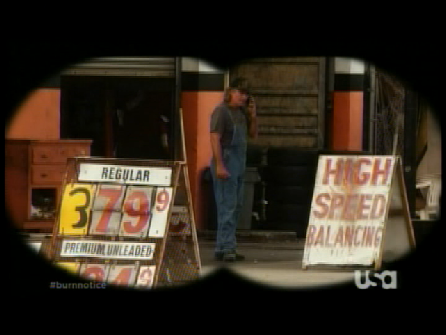 Next we see Michael call John who is at the compound. 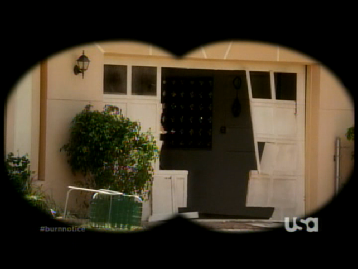 Then we see Sam and Michael arrive back at the compound in time to see Fiona’s delivery truck arriving. 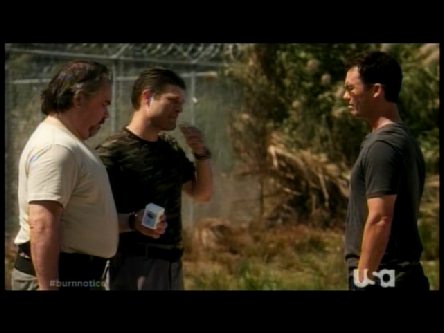 The militia is on to their plans and Fiona has to drop off before reaching the compound. The rest of our gang cover her escape. 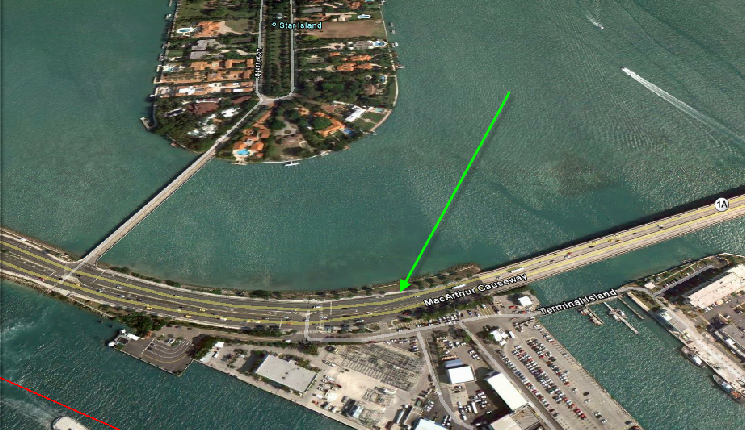 This all appears to have been filmed at Oleta River State Park. 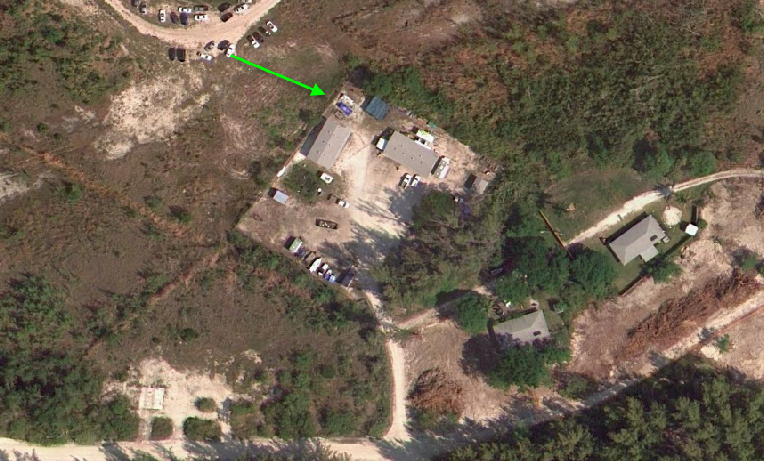 They realize the militia is listening in to their phone calls and use this to lure the militia men to a decoy shed elsewhere in Oleta River State Park. 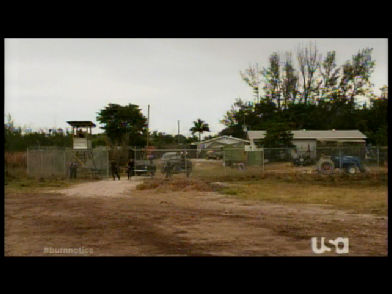 Michael goes inside the compound. 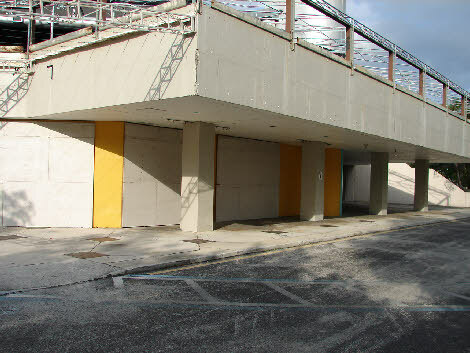 It is unclear if this is a studio set or a facilities building in Oleta River State Park. 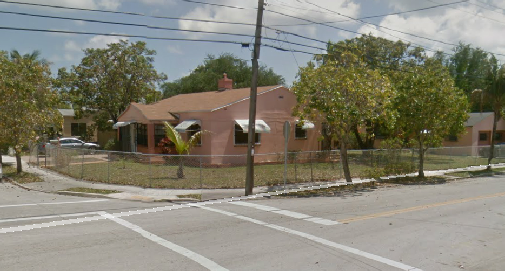 Location unsure. 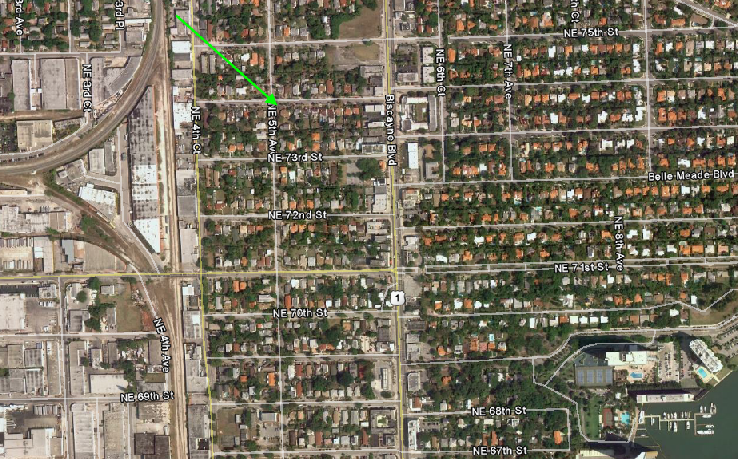 Then we cut to Madeline’s house (set) where mother and son are reunited. From there we go to Michael’s loft (set) where Jacob receives the text message that they need to track down the person that hired Jacob. 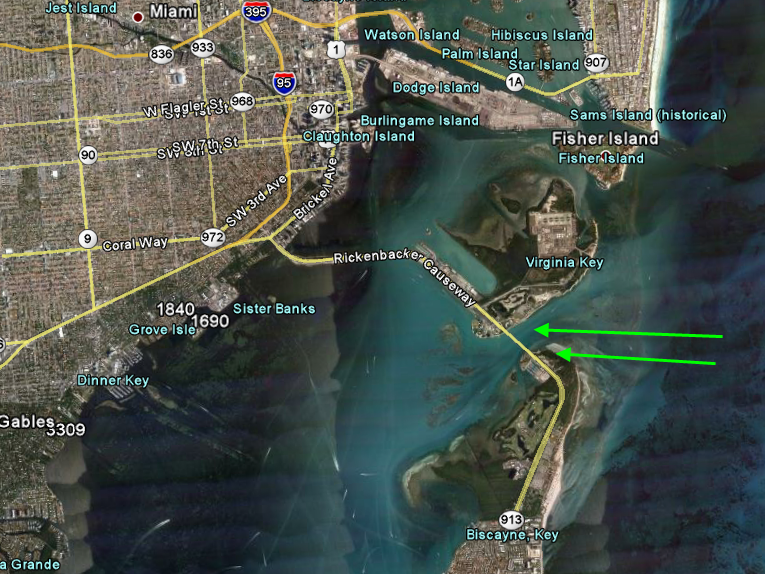 Then we see brief but interesting aerial shots over the north end of Key Biscayne. 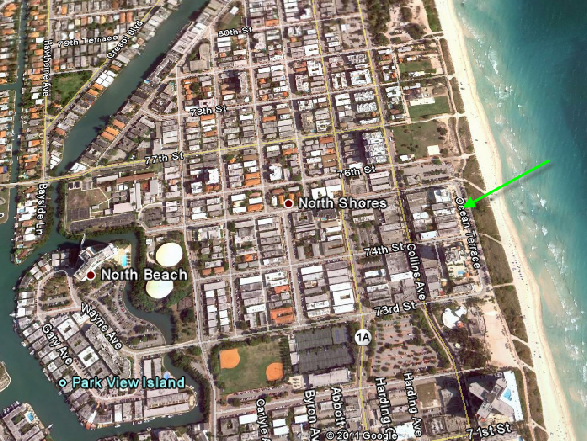 The first showing the area where we saw Michael load the pirate boat for the high seas heist in episode 19, Rough Seas. 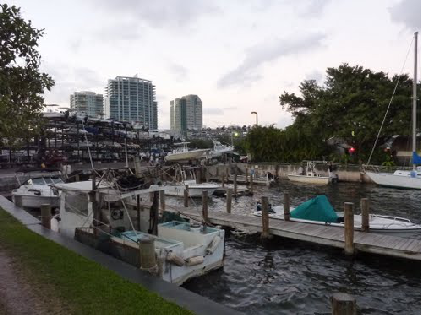 The second showing Tony Rome’s Marina that we also saw in episode 19, Rough Seas. 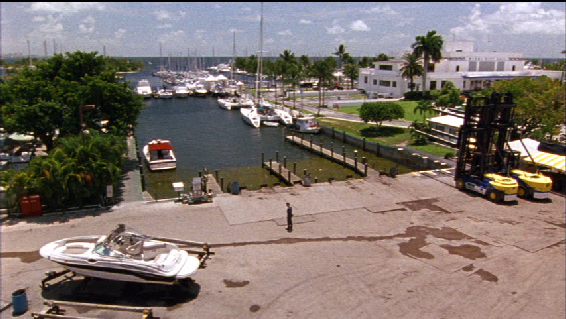 This leads us into Sam and Michael being on the docks behind the studio looking to meet with the man behind Max’s murder. Only there is a boat with nobody on it. Just a bomb. The episode ends with a bang. 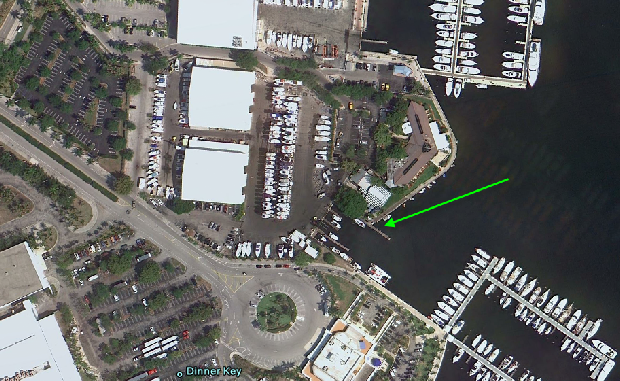 This was filmed by the studio in Coconut Grove at the Grove Key Marina. 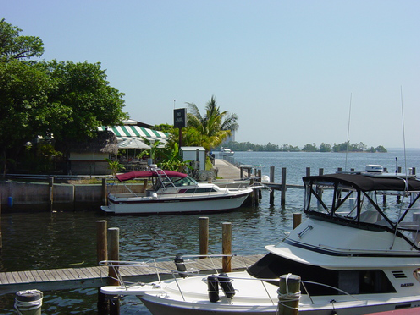 The dock by Scotty’s Landing. 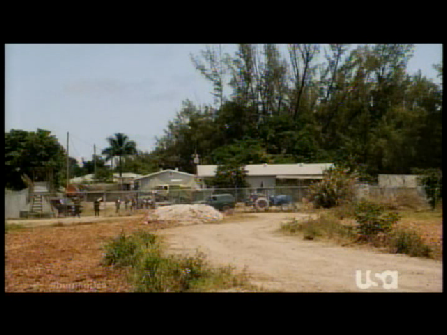 We see Michael and Sam standing at the same location where we saw them in episode 43, Good Intentions. 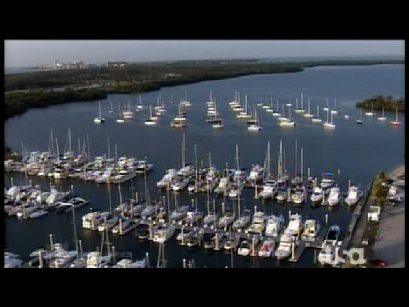 Then we see an aerial shot of Brickell key followed by the MacArthur Causeway and Dodge Island/Port Of Miami. As seen in episode 43, Good Intentions.